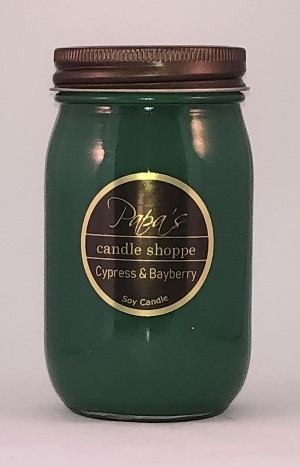 This 16 oz mason jar of Cypress & Bayberry bring the aroma of a pristine woods into your home. A blend of bay laurel, and cooling eucalyptus. 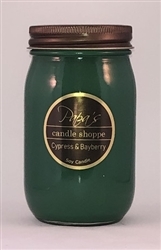 Along with the enchanting scent of cypress, moss, and bayberry blend with rich undertones of fir balsam, patchouli, and sweet incense.